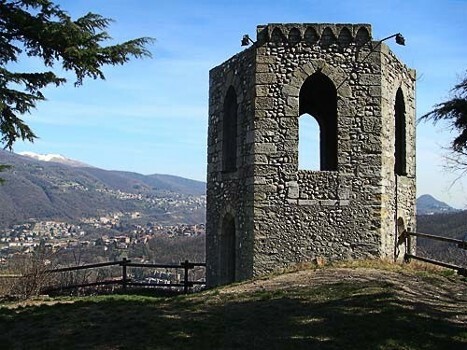 Baradello Castle is situated on hill dominating the valley like a stone sentinel watching over the town of Como and Spina Verde Park. 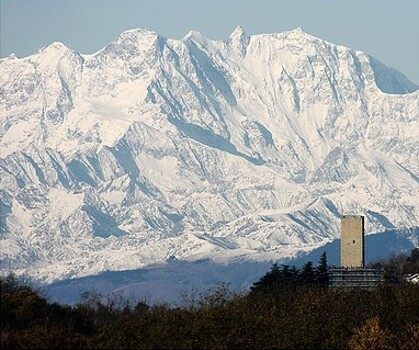 The top of the tower provides 360 degree views of the city, the Alps and Po Valley. 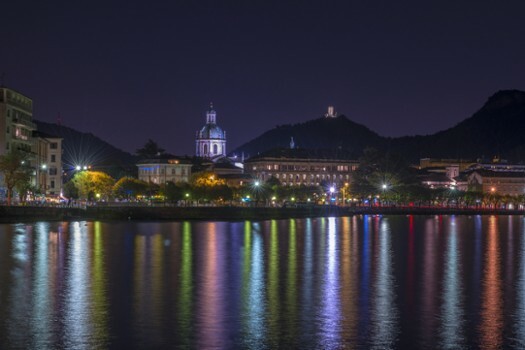 The fortification was used until its demolition, ordered in 1527 by Spanish conquerors. The area of the Castle has been a fortified area since the beginning of times. 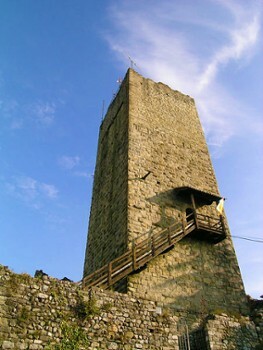 Probably, a very important fortification of the so-called "Limes prealpino" was built here: it belonged to the network of watchtowers of the late Roman Empire against the Rhaetic invasion. 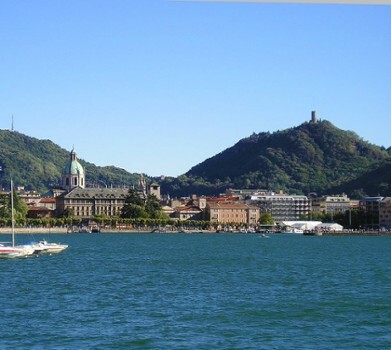 There are later documents referring to the period of the "Ten Years War" between Como and Milan (1118-1127), when the fortification became the reference point for Como in the struggle against the troops of Milan. 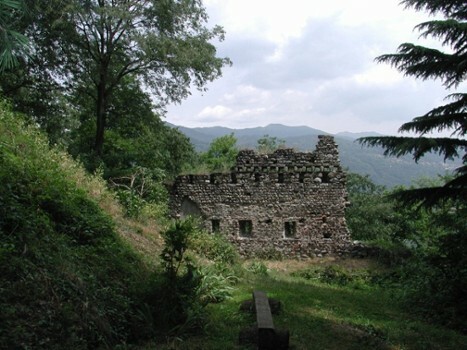 The defeat of the population of Como led to the destruction of the town and of the fortifications, including the castle. 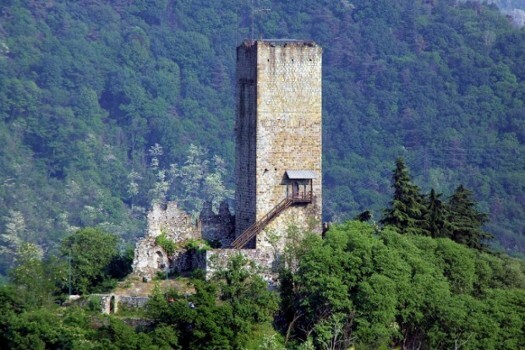 The presence of the current building is given to Redbeard who, after the victory over Milan and the relative peace of 1158, ordered the reconstruction of Como and the building of the Castle on the ruins of more ancient settlements. In the period of transition from Communes to Signories, within the struggles among the Torriani, Rusconi, and Visconti families, the castle was in the middle of interests and struggles which must be considered within the more general struggle between Como and Milan. It is enough to quote the bloody episode of the death of Napo Torriani, who, defeated in Desio in 1277 by Archibishop Ottone Visconti, was held for 19 months in a cage hanging outside the tower. 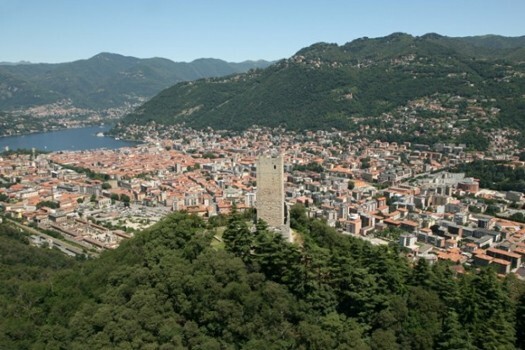 At the beginning of the 20th century the works of recovery promoted by a committee of citizens began and in 1927 the castle was given to the Municipality of Como. 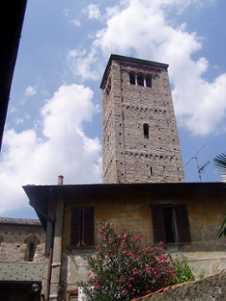 Today, the volunteers of "Club Baradel" are available for a visit to the Tower and the castle has become again the symbol of the town, while the quarters relive in allegorical form the civil war and the civil strifes with Palio del Baradello. The castle is accessible in the summer months, from April to September, on Saturdays and Sundays afternoons. Weekday visits are available for groups of at least 10 people and must be booked. The entrance ticket costs 4 €, reduced to 2 € for children and the elderly. Nearby Things to Do include: Towns such as Brunate and Blevio; Monuments such as La Fontana Monumentale and Monumento ai Caduti per Servizio; Villas such as Villa Giovio and Palazzo Giovio; Parks & Gardens such as Piazza Cavour and Villa del Grumello Park; Churches such as Basilica di San Carpoforo and Basilica di Sant'Abbondio; Museums such as Silk Museum and Civic Art Gallery.